With the advent of online news, it will be very easy for people to track the latest happenings and the current news. But what if you want to track only certain topics which you are really passionate about on the web? Are you a blogger who is searching for a cool way to track your favorite news sources to stay abreast of latest posts from them? Search no more!! 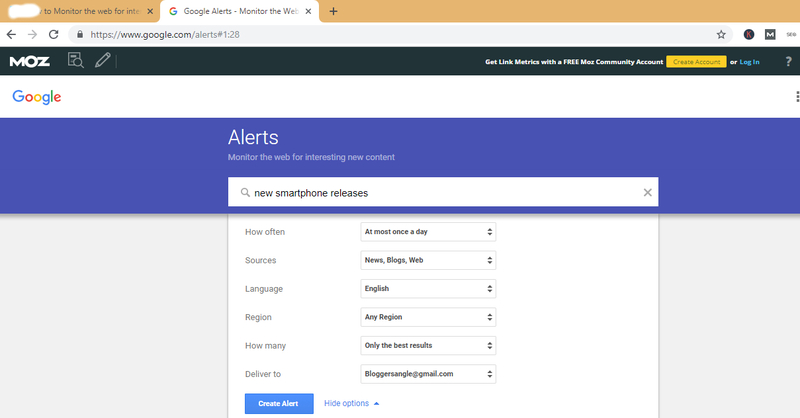 In this post, I am going to show you how to use Google Alerts to track your favorites topics on the web. Well, there are many ways to do it and using Google Alerts is one of them. Let’s see how everyone can track the topics which they are passionate about, using Google alerts. 1: To get started, go to Google Alerts and search for your desired topic. In my case, I am going to enter my desired topic “New Smartphone Releases”. You can see the host of results displayed. 2: You can further filter the search results as desired by setting up “ How often you want to receive the Google alerts, sources, preferred language, desired region, you can also choose the kind of results to receive, and finally select the delivery email address. 3: When you are done with the setup, it’s time the get the Google Alerts up and running. To do so, simply click on the “Create Alert” button. 4: That’s it. Now you have successfully created a “Google Alert” for your desired topic. 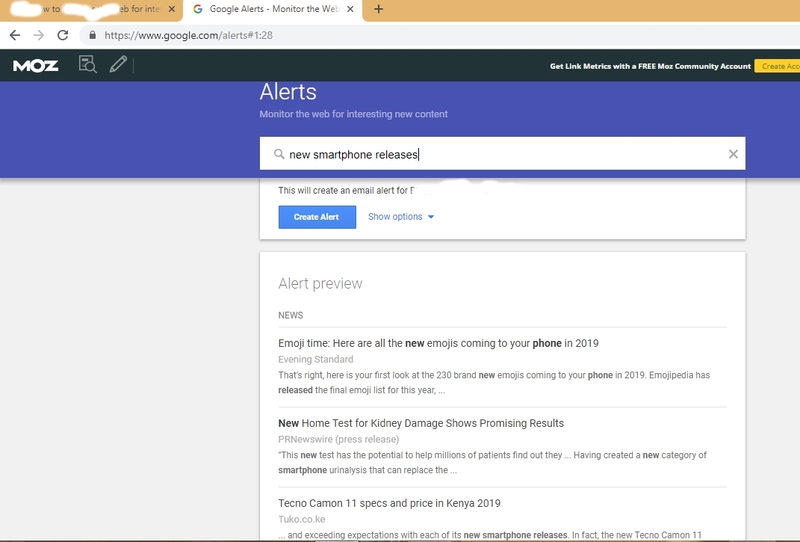 The beauty of using “Google Alerts” is the option to select “Everything” for the type of results, which not only cover the Google News but it will also cover the most powerful Google search index. Use Google alerts and stay updated on your desired topic all the time.